As your truck and 4X4 specialists, we want you to know that we understand you. 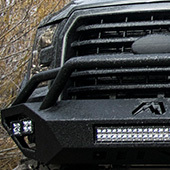 You’re the guy who, right after taking your truck or SUV through off-road mountain trails, comes home and polishes every inch of your vehicle with a cloth diaper or a brand new chamois. You’re the girl who refers to your Jeep as “The Beast” but checks daily for the slightest scuff or blemish on the paint. You’re the enthusiast whose personal health is practically tied to the condition of their four-by. We understand it and we dig it. 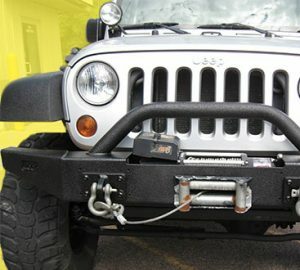 As experts in vehicle protection, we’re your first line of defense against those annoying scratches and ugly flaws caused by daily use and the occasional off-road trail. 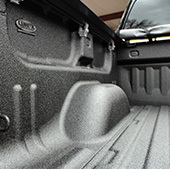 Because we all know that we can’t keep our four-wheeled babies safe forever, there’s LINE-X: the world’s leader in durable protective coatings and spray-on bedliners. Though we like to let our work speak for us, we can and will proudly state that our products rank among the very best on the planet. Backed by a lifetime guarantee, your LINE-X protective coating promises to stand up to whatever you have the gall to dish out. 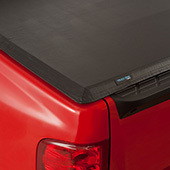 From loading cargo to conquering boulderish trails, we’ve got you, your truck bed, and car parts protected and covered in all the ruggedly durable ways you would expect out of an industry leader. 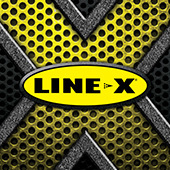 Don’t settle for less, go LINE-X. 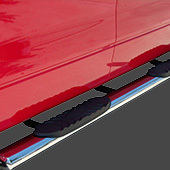 Give us a call today for the best truck accessories available.